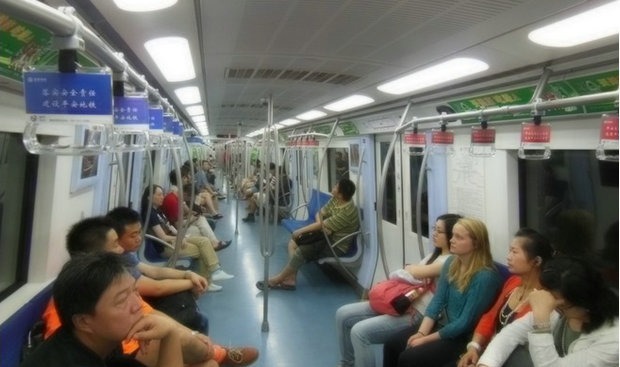 With more subway lines emerging in Beijing, now it is much easier to travel in Beijing by metro lines. The subway is a cheap and fast way to take you there. If you have a limited budget, that’s the way you should take. Here I sum up some tourist attractions available by subway lines. Tiananmen Square & Forbidden City – Take line 1 and get off at TIANANMEN EAST or TIANMEN WEST, you will find yourself on the north edge of Tiananmen Square, After walking north through two grand gates, that’s where the Forbidden City sits. Yonghe Lamasery Temple – Take subway line 2 or line 5, get off at YONGHEGONG station from Exit C, and walk south about 400 meters, then you’ll find Yonghe Lamasery on the east side of the road. Drum & Bell Towers – Take subway line 2 (loop line): get off at GULOUDAJIE station from Exit B (southwest exit), and walk south. Qianmen Street – Take subway line 2 and get off at southwest or southeast exit of Qianmen Station. Summer Palace – Take line 4 bound for ANHEQIA NORTH and get off at BEIGONGMEN station. Walk west for about 200 meaters. You will find the north gate of Summer Palace. Yuanmingyuan Park – Take line 4 bound for ANHEQIA NORTH and get off at Exit B of YUANMINGYUAN PARK station. Walk east, then you will find Yuanmingyuan Park on your left hand. Beijing Zoo – Take subway line 4, get off at BEIJING ZOO station, get out of the station from Exit A, and you’ll find the south gate of the Zoo. Temple of Heaven – Take line 5 and get off at TIANTAN DONGMEN station, Leave from Exit A and you’ll find the East Gate of the Park. 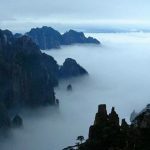 Nanluogu Xiang – Take subway line 5 to get off at Exit D of Beixinqiao Station or Exit A of Zhangxizhong Station, and walk west for 15 minutes. 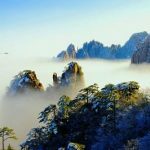 National Art Museum of China – Take subway line 5 or line 6 and get off at Exit E of Dongsi Station.Then walk west for about 5 minutes. Beihai Park – Take line 6 and get off at BEIHAI NORTH station, you will find the north gate of Beihai Park. National Stadium (Bird’s Nest) – Take subway line 8 and get off at Exit B2 of Aoti Zhongxin (Olympic Sports Center) Station. Then walk north for about 800 meters. Sanlitun Bar Street – Take line 10 and get off at TUANJIEHU station, walk west for a few hundreds meters and stop at the first traffic light. Then turn right and that’s the place. Olympic National Stadium (Bird’s Nest) – Take subway line 10 to BEITUCHENG station then switch to subway line 8: get off at OLYMPIC SPORTS CENTER station from Exit B1 (northwest exit) or Exit B2 (northeast exit), and walk north. Take Changping Line and get off at MING TOMBS station, however actually the station is still 4 km away from the tourist spot Ming Tombs, travelers still need to take other transport to the tourist spot. Click here to find the latest Beijing Subway Map from official website of Beijing Subway. 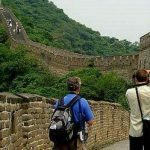 There is not any line can take you to Great Wall, If you would like to visit different sections of the wall, please join our Beijing seat-in-coach tour with price as low as USD25 per person. First take Line 9 from West Railway Station and change to Line 6 at Baishiqiao South Station and get off at Beihai North Exit D and walk west for about 350 meters, you will find the Beihai North Gate. When you get out from the South Gate, take bus 101 or 103 and change to subway line 4 at Xisilukoudong (西四路口东) and then change to line 9 at National Libary Museum and get off at Beijing West Railway Station. Hope this info is helpfull to you.